Lawyer and Notary, graduated from the Faculty of Right of the University of Costa Rica. Professor of Philosophy of University of Costa Rica, School of Philosophy and Letters. Doctor in Public Law of the University of Strasbourg in France. Graduated of Compared International Law from University of Social Sciences of Strasbourg, France. Graduated in Human rights from France University of Social Sciences of Strasbourg, France. He was the General Secretary of the National Liberation Political Party from 1988 to 1996. Vice-consul in Washington, special mission before the OEA. Deputy to the Legislative Assembly, elect in 1994. President of the Commission of State Matters, 1994. President of the Third Full Commission, Legislative Assembly 1995. President of the Commission of Electoral Reforms 1995. The director of the Parliamentary Magazine of the legislative Assembly from 1994 to 1998. 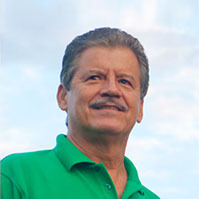 President of the Legislative Assembly of Costa Rica on 1996-97.